when utility makes an alliance with art, some of the most wonderful objects come into existence and this napkin holder is one such object. 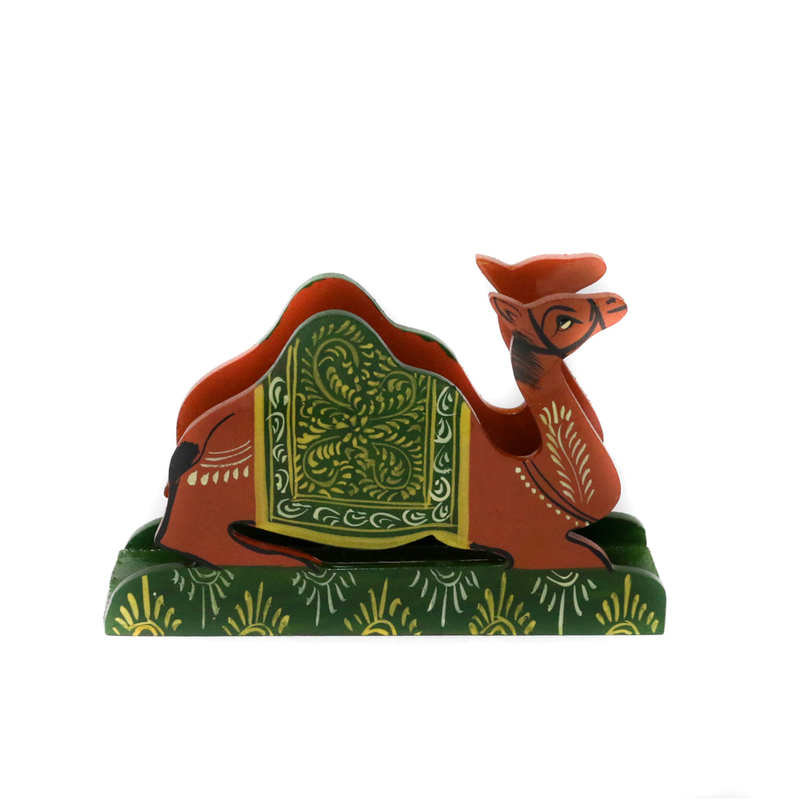 This Read More..napkin holder is made up of wood and illustrates a camel in its sitting posture. the camel has some space in betwixt the two sides of its body for carrying the napkins on its back! Show Less..